We all know sunscreen is important. Not only can sun exposure damage our skin and cause it to show signs of premature aging, but it can also lead to pre-cancerous or cancerous growths. 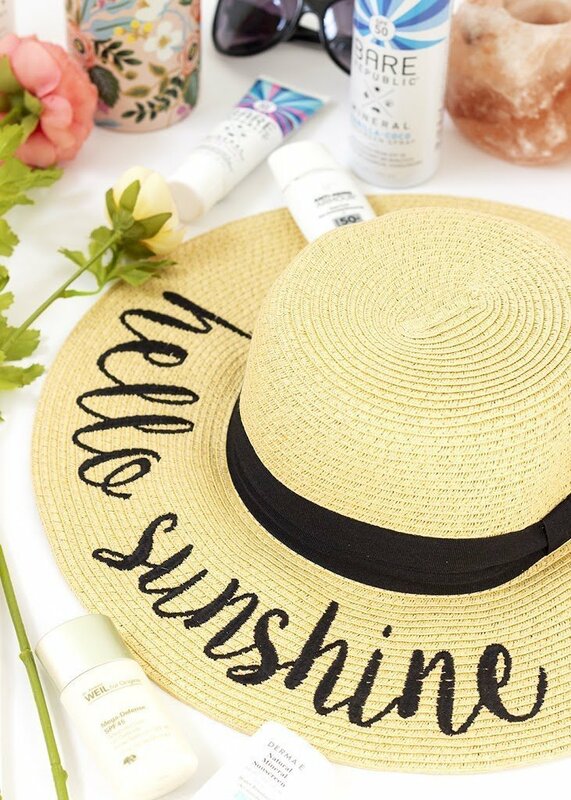 We also know that slathering yourself up for a beach day is kind of a no-brainer, but truly any day that we’re seeing the sunshine (even if it’s just on a trip to the grocery store) we should be using some kind of sun protection. And when I say seeing the sunshine, I don’t just mean a beautiful, clear-blue-skies kind of day. Cloud cover can actually trap UV rays and intensify them, so your exposure actually increases when it’s overcast. TLDR: if you’re outside during the daytime, you need sun protection. Still, many of us aren’t consistent with our use of SPF. We know that the best way to protect ourselves is to make applying sunscreen a part of our skincare daily routine, but getting into the habit can be a bit of a challenge. For me, the biggest game changer was finding a sunscreen I actually enjoyed wearing and that worked well with my skin. 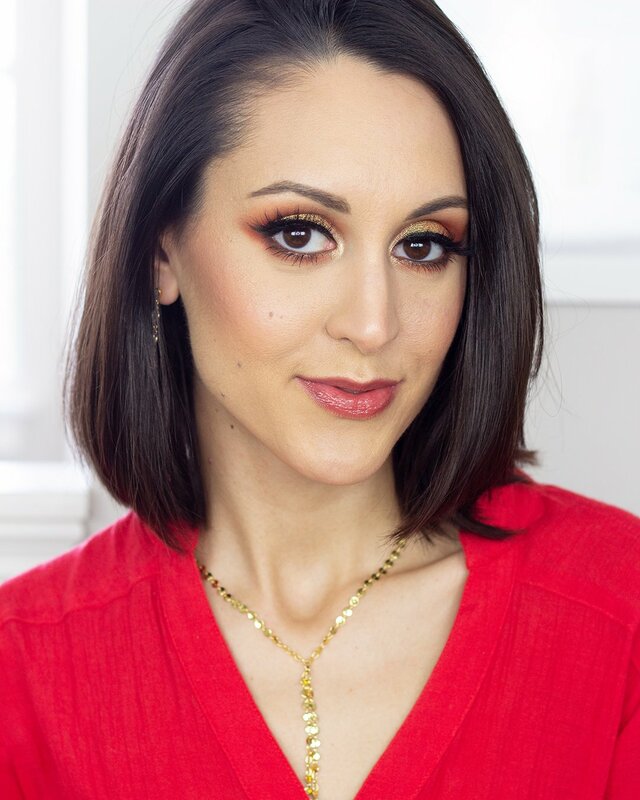 The process of finding the perfect SPF is always easier when you know what to look for, so I’m going to attempt to clear up some of the confusion and give you a little more confidence the next time you stroll down the sunscreen aisle. If you’ve ever taken a moment to read a bottle of sunscreen before, you’ve probably seen information about the product’s UVA and UVB coverage. The sun emits light of many different wavelengths, but UVA and UVB are the primary ones of concern when it comes to skin cancer (at least with our current scientific understanding). UVB rays tend to damage the top layer of the skin causing that lovely effect we know as sunburn. UVA rays, on the other hand, penetrate the skin more deeply and can cause long-term damage to the skin. Now, our bodies do have a built-in protection mechanism to shield our bodies from the sun. Our skin produces melanin, a dark brown to black pigment, to block some of these rays. When we “get a tan” our bodies are ramping up melanin production to aid in this process. That being said, the melanin in our skin in no way protects us fully from all of the UVA and UVB light we’re exposed to, not to mention the fact that all of us have different genetics that allow us to produce different amounts of melanin. This difference in melanin production (that equates to our different skin colors) is something that evolved over hundreds of thousands of years as an adaptation to our environments. Sun exposure intensifies near the equator, necessitating more melanin and therefore a deeper skin color. One of the struggles of modern times is that, thanks to our constantly developing technology, our lifestyles are changing way faster than our biology can evolve. This applies to a lot more than just our skin (another topic for a different day), but the take home point is that people don’t necessarily reside in the geographic location best suited for their genetics. Furthermore, as the Earth’s protective Ozone Layer depletes, modern humans are probably also exposed to more harmful radiation from the sun than our bodies are equipped to handle. All of this boils down to one thing: if you want to protect your skin from the sun, you should probably be wearing sunscreen. Even if you have a deeper complexion, the melanin in your skin will not protect you from all of the sun’s radiation, and while your risk of skin cancer may be less than your super pale friends, that doesn’t mean its non-existent. Okay, you get it. Sunscreen is important. The bigger issue is figuring out how the heck to know what to buy. Do you opt for SPF 15 or SPF 50? Do you choose a physical SPF or a chemical one, and do you know how to spot the difference? With more options for sunscreen than ever, deciding what to buy might be more than a little overwhelming. Arm yourself with a little knowledge, though, and you’ll find yourself shopping with a whole lot more confidence. How Much SPF is Enough SPF? In case you weren’t already aware, SPF is actually an acronym for Sun Protection Factor. This rating is based off of the idea that, with no sun protection, our skin will naturally start to burn after a certain amount of time. A product’s SPF tells us that it will (theoretically) protect our skin X number of times whatever that amount is. For example, if your skin normally would burn after 20 minutes, a product with SPF 15 would protect your skin for 15 times that amount, or 300 minutes (5 hours). By this logic, SPF 50 would protect you for over 16 hours. Unfortunately, reality isn’t quite so cut and dry. Most sunscreen applications aren’t perfectly even from the start, and can easily break down or be wiped away as the day progresses. This is why reapplication of sunscreen is recommended after two hours, regardless of the SPF you’re using. A more up-to-date and perhaps more helpful way to think about SPF is to consider the percentage of UVA and UVB rays that are actually being blocked by its coverage. A product with SPF 15 will protect you from about 93% of UVA and UVB rays, while SPF 35 blocks about 97%. More is not always more, however, as no sunscreen blocks out 100% of the sun’s rays (the reason why the word “Sunblock” has been banned as being a misleading term). The rate of increased protection becomes smaller and smaller as your SPF goes up. Anything above SPF 50 (protects against 98% of UVA and UVB rays) is probably unnecessary, and if anything will probably be more likely to cause skin irritation. Personally (by the recommendation of my dermatologist), I stick to products in the SPF 30 to 50 range. What is This Physical Versus Chemical Sunscreen Business? In my own personal journey to finding the perfect sunscreen, this distinction was the most important for me to learn about. Since the birth of the commercialized sunscreen industry in the mid 1930s, we’ve seen the market flip flop on its preference for a “physical” versus a “chemical” formula, with the most recent trend being a resurgence of physical options. But first, let’s clear up the differences between the two. Physical sunscreens are comprised of mineral or inorganic (non carbon containing) substances. These were the first true sunscreens known to man, with known use of Zinc Oxide as a skin protectant going back thousands of years. They generally work by reflecting long wave UVA rays off the skin and absorbing UVB ones. Physical sunscreens are generally more photostable, meaning that they take longer to break down when exposed to light, and may be more friendly to those with sensitive skin as they are less likely to cause allergic reactions. If you are reading a sunscreen label, the two ingredients to look for to denote a mineral SPF are Zinc Oxide and Titanium Dioxide. One of the reasons that we call mineral sunscreens “physical SPFs” is that they quite literally create a protective barrier on the skin. While they do absorb some of the sun’s damaging rays, their ability to reflect UVA makes us think of them as a physical shield against the sun. That being said, there are some downsides to these formulations. That reflective quality of mineral sunscreens may cause us to look ghostly pale in flash photography. It also can be thick, white, and chalky in texture. The less aesthetically pleasing nature of mineral sunscreens is exactly what fueled the development of their chemical cousins. Chemical sunscreens are comprised of carbon-based or organic compounds that work by absorbing UVA and UVB rays and converting them into heat. The most common chemical sunscreen ingredients you’ll come across are avobenzone, oxybenzone, octisalate, octocrylene, homosalate, and octinoxate. Chemical sunscreens have the benefit of completely absorbing into the skin without leaving a white cast behind. On the downside, chemical sunscreens are not all created equal, nor do they all play well with one another. Avobenzone, for example, can break down fairly quickly as it does its job of converting UVA and UVB rays, and can become even less stable in the presence of certain other ingredients. Chemical sunscreens have also been known to cause allergic reactions, particularly in those with sensitive skin. While chemical sunscreens were all the rage for the last 30 years, as more and more people have started to take a natural or green approach towards their lifestyle, mineral sunscreen options have recently started to explode. 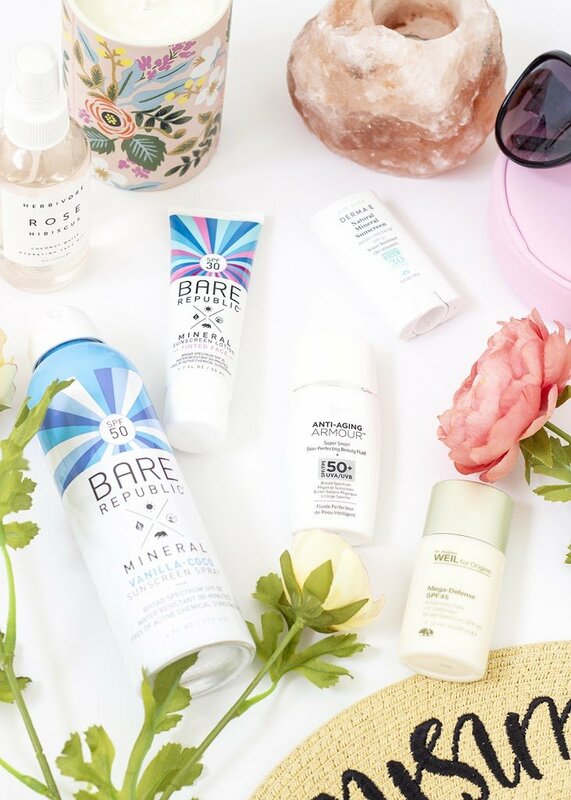 Making the switch to an all-physical sunscreen routine used to be quite a challenge even 5 years ago, but now you’ll find countless mineral alternatives at popular retailers across the US. Personally my best advice would be to listen to your body. As soon as I realized that there were different types of sunscreen, I started paying attention to how it reacted to both. In general, my body from the neck down is quite dry, however, the skin on my face is very oily and can be quite sensitive. For me this meant that I could wear a chemical SPF on my arms and legs without a problem, but that when I applied those same ingredients to my face it would almost always result in irritation and breakouts. Ultimately I decided to exclusively use mineral sunscreens on my face and neck. In doing so I noticed a HUGE improvement in the texture of my skin. If I’m going on a trip to the beach, however, chemical sunscreens tend to go on more quickly and easily for the rest of my body, and reapplying them isn’t a hassle. I just recently picked up some mineral spray-on sunscreen for the body, though, so I’ll be curious to see how that works out for me! One of the biggest misconceptions of sunscreen in the beauty industry is that you can get adequate sun protection from your makeup alone. Foundations and powders will proudly feature sunscreen ingredients, as if this is sufficient to protect your skin. Unfortunately, this is far from the case. In order for sunscreen to work properly, the active particles need to be distributed evenly across your skin. As with any solution, it is impossible to guarantee that the sunscreen particles in your foundation are dispersing in such a way that they’re providing an even layer of protection. Not to mention the fact that, especially if your makeup contains a chemical SPF, you’re probably not applying enough for your entire face to receive adequate protection. If you really want to protect your face from sun damage, the best way to do so is with a separate sunscreen that you apply as the final step of your skincare routine. Any SPF in your makeup is really just an added bonus. On that note, there are a couple of other things to consider on the topic of layering SPF. First of all, SPF is not additive. That is, if you layer an SPF 35 foundation over SPF 50 sunscreen, you aren’t going to get SPF 75 coverage. SPF always defaults to the highest level you’re applying. That being said, if you’re using an SPF 15 moisturizer and applying a foundation with SPF 50, you might want to keep in mind that the foundation most likely isn’t going to give you the full benefit of the number on the bottle. My own personal advice would be to make sure you’re using at least SPF 35 in your skincare to make sure you’re actually getting that protection. The second thing to consider is the type of sunscreen that you’re layering. That is, what happens if your sunscreen has one set of ingredients, and your makeup has completely different ones? In researching for this article I’ve found mixed information regarding layering chemical and physical sunscreens. It appears that Avobenzone will start to degrade in the presence of mineral sunscreens. There are, however, some more photostable chemical sunscreens that will maintain their integrity. It also appears that different combinations of chemical sunscreens may be more or less effective in certain proportions. My very non-scientific opinion is this: since I’m not a chemist and I don’t understand the interplay of all sunscreen compounds, I’m going to play it safe and keep everything in my routine the same. If you’re a physical sunscreen user like myself, this is pretty easy. 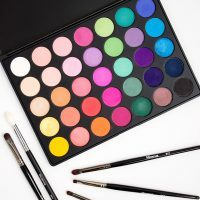 I completely avoid all chemical sunscreens and only opt for products that contain titanium dioxide and zinc oxide in both my skincare and makeup. If you are a chemical sunscreen user, this might be a little more tricky. 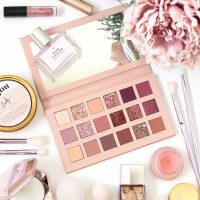 Ultimately I would just encourage everyone to start reading labels and to get more familiar with the ingredients in the products they’re using. And, if you still have doubts, you can always opt for keeping your makeup SPF free and generously applying a separate sunscreen as the last step of your skincare routine. 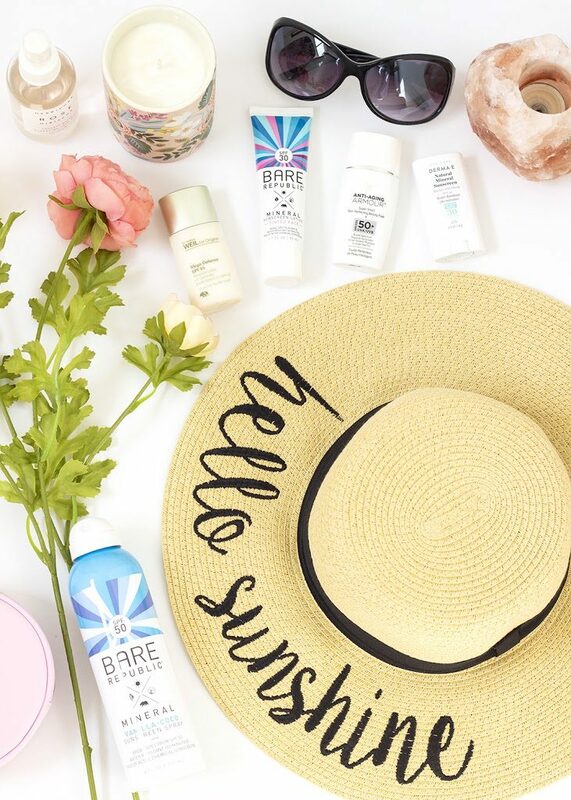 So you’ve got the knowledge to shop like a total boss and read those sunscreen labels with confidence. 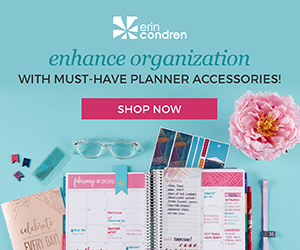 There’s just one other issue – where the heck do you get started? On one hand it’s awesome that there are so many sunscreen options available to us on the market, but on the other it can be a bit overwhelming trying to narrow things down to a specific brand. 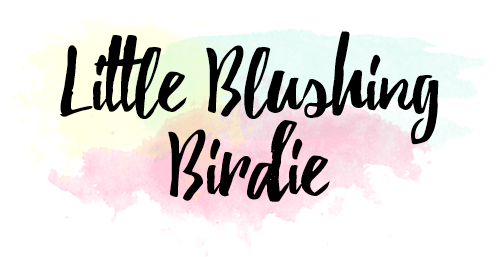 While I haven’t had the chance to try everything that’s out there (if only), I do have some recommendations of products that I’ve really enjoyed! My current staple everyday sunscreen for my face and neck is the Origins Mega Defense SPF 45 ($42). It costs a pretty penny, but is one of the best all-mineral SPFs I’ve ever used. The texture is quite liquidy, and it absorbs quickly and easily into my skin without any chalky white cast left behind. Now, I don’t think there is any SPF that won’t make my oily skin at least a little more shiny by the end of the day, but this one is less of a culprit than most. 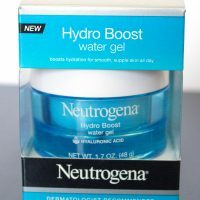 It plays well with my makeup and hasn’t caused my skin any kind of extra irritation or breakouts. Another product that I’ve been enjoying recently is the IT Cosmetics Anti-Aging Armour with SPF 50 ($38). 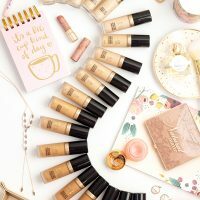 What’s neat about this formula is that it has a slight tint to it, letting it act as a perfect foundation alternative for light or minimal makeup days. 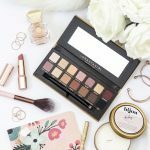 It says that the tint is universally flattering, although I’m a little dubious about how it would work for very light or very deep complexions. At the very least, it makes for a great primer under other makeup, because it has a blurring texture that smooths out the look of pores. 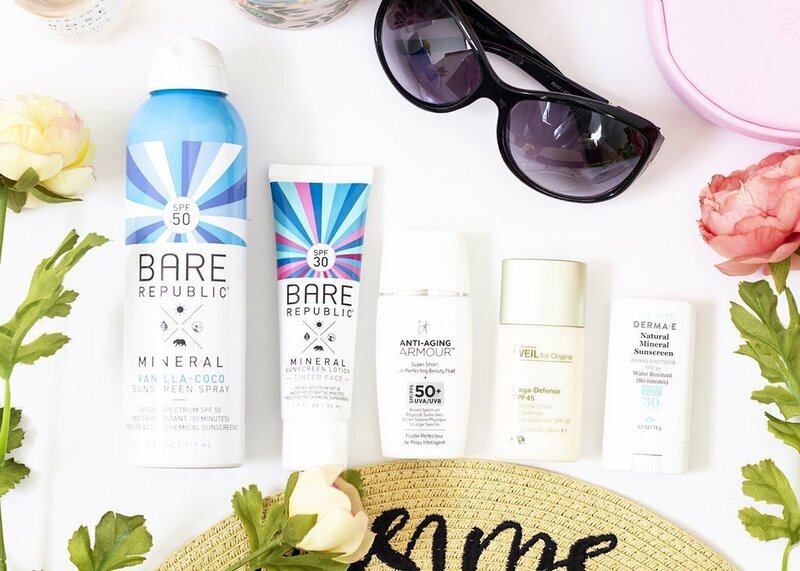 If you’re looking for something in a slightly more affordable price range, Bare Republic is one of my all-time favorite drugstore sunscreen brands. Their Mineral Face Lotion ($14.99) is incredibly lightweight and non-greasy, and also sports a super delicious vanilla coconut scent. They also have a tinted version if you’d like the added benefit of evening out your skin tone. I have tried their Mineral Sport Sunscreen for body as well and did find it to be a bit thick and chalky. It definitely protected my skin from the sun and kept me from getting burned, but was a little bit more of a pain to work with. I’ve picked up their spray version for this summer to see if there is any difference. One other really solid sunscreen brand I’ve been happy with is COOLA. They have an amazing range of both mineral and non-mineral options, depending on your preference. Their price point is quite a bit higher, although they definitely deliver on quality (not to mention the fact that some of their scents are divine). They even offer a Tinted Mineral Lip Balm ($18) that has nothing but stellar reviews on the Ulta website. If you’ve ever burned your lips you know how absolutely miserable that can be, so don’t forget to protect them as well! And if you’re looking for a more portable sunscreen alternative, the Derma E Natural Sunscreen Stick ($11.95) would be perfect to throw in your purse or beach bag. Not only is it travel-friendly, but its pure Zinc Oxide formula should be less likely to cause breakouts and irritation than other sunscreens. Derma E also released a new Mineral Powder SPF 30 ($21.95) that I’m incredibly curious about. 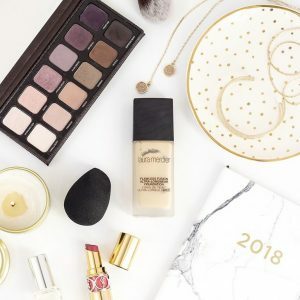 While I wouldn’t recommend using a powder as your sole means of sun protection, this might be the perfect way to touch up your SPF over a full face of makeup. All right, my beauties! 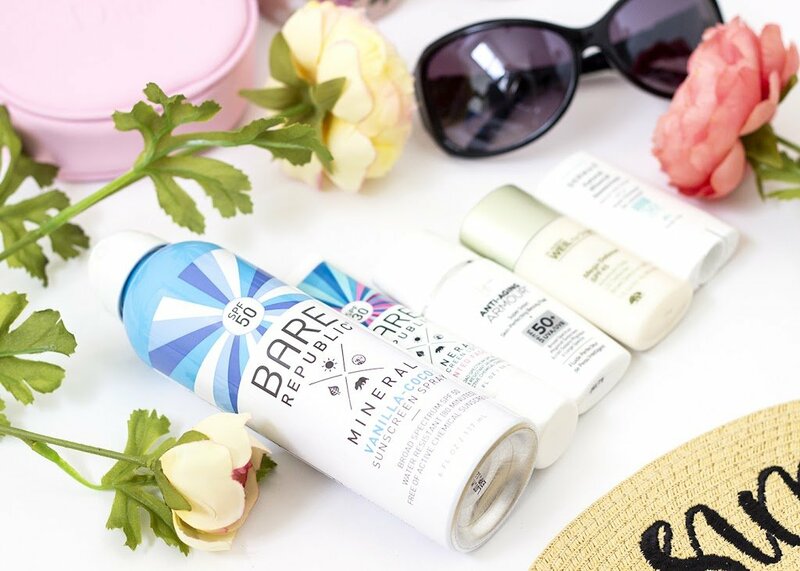 Hopefully this post cleared up some of the confusion you may have had around shopping for SPF. As always, I love hearing your recommendations and experiences, so make sure to share them with us in the comments down below.